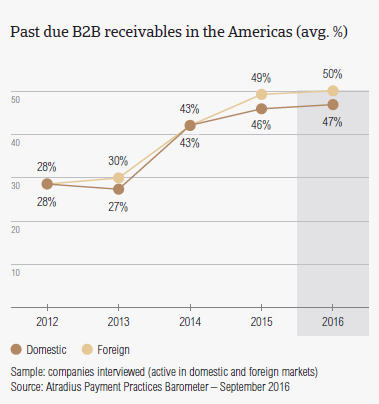 Il Barometro dei pagamenti per le Americhe (NAFTA e Brasile) mostra come il 93% degli intervistati ha rilevato ritardi nei pagamenti da parte dei clienti B2B nel corso dell'ultimo anno. 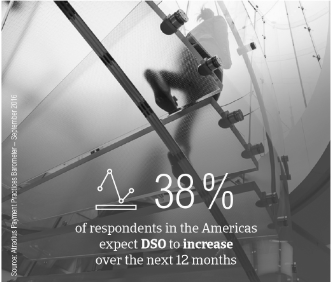 Despite showing very different economic performances, all of the countries surveyed in the Americas (Brazil, Canada, Mexico and the United States of America (US) are experiencing upward pressure on insolvencies. 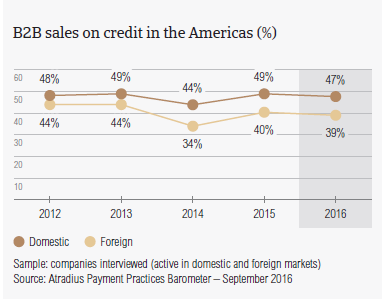 A major factor causing rising insolvencies in Canada (+4%), and to a lesser extent in the US (+2%), is low commodity prices. 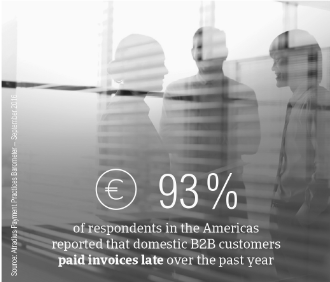 Another issue weighing on the business environment in the US is the lower external demand for exports. 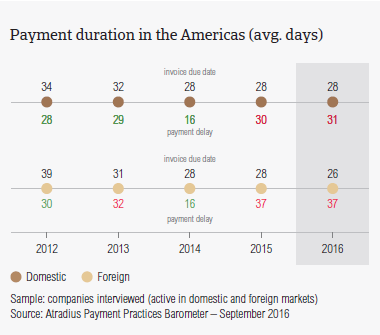 Low oil prices and low growth of productivity in Mexico, and the recession in Brazil, are factors forecast to lead to rising bankruptcies in these countries this year. 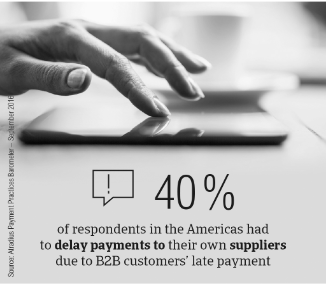 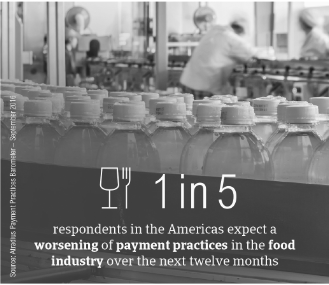 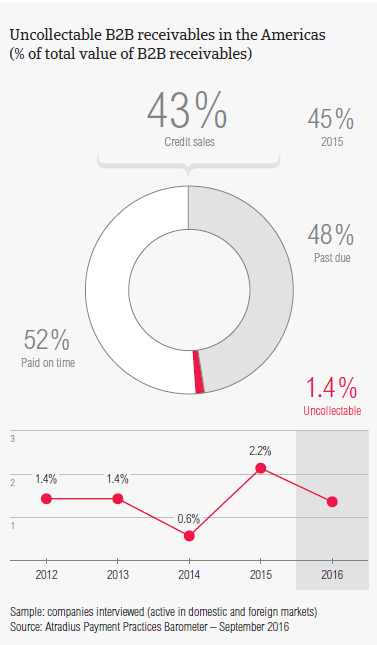 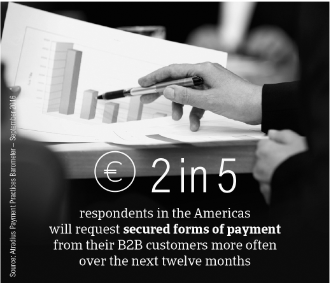 As survey findings reveal, the challenging insolvency environment affects the way suppliers interviewed in the Americas protect their businesses against the risk of payment default by their business-to-business (B2B) customers purchasing on credit.